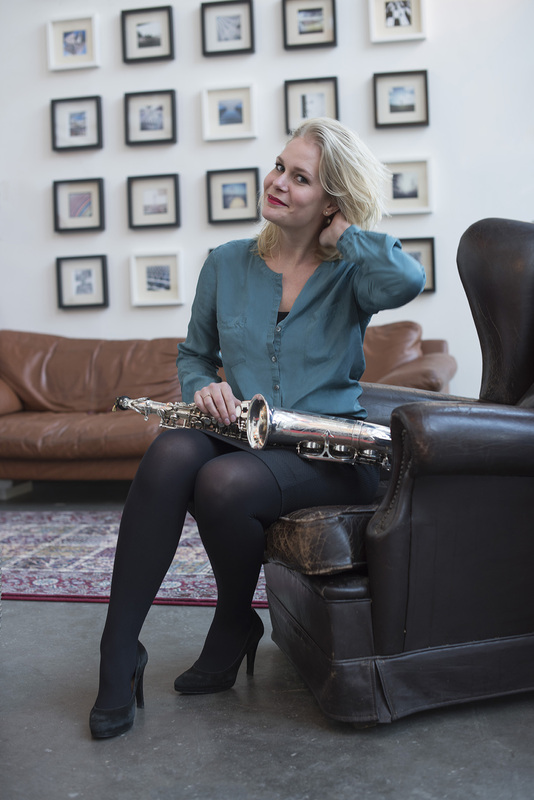 Stephanie Francke (1989) is an alto- and soprano saxophone player based in Rotterdam, The Netherlands. In 2012 she graduated from the Conservatory of Rotterdam and was awarded the prestigious Erasmus Jazz prize. In April 2013 she released her first album: ‘Florigen‘. This album marks the debut of the Stephanie Francke Quartet, featuring the talented Koen Schalkwijk on piano, Thomas Pol on double bass and Niek de Bruijn on drums. On May 1, 2015 Stephanie released her second album ‘Ripples’ with her quartet. This time it features Guus Bakker on double bass and great singer Elizabeth Simonian appears as a guest on this album. She got quite a few good reviews for Ripples, you can read them at the ‘Press’ section. Stephanie played a number of major festivals and venues in The Netherlands such as the infamous North Sea Jazz Festival (as a featured soloist with the Codarts Big Band), Amsterdam’s BIMhuis and the Lowlands Festival. Her quartet made appearances at the North Sea Jazz Festival in 2013, the International Jazz Festival Middelburg, Jazz in Duketown and North Sea Jazz ‘Round Town. In June 2013 she was invited to play a showcase with her group at the International Jazz Day in Rotterdam and her quartet was selected for the finals of the European Jazz Competition. In 2013 Stephanie was given the chance to do a Carte Blanche concert called The Pack Project in Lantarenvenster in Rotterdam during the festival Jazz International Rotterdam. She teamed up with composer Leonard Evers and drummer extraordinaire Friso van Wyck and started the exciting band The Nine involving some of Holland’s finest young musicians.